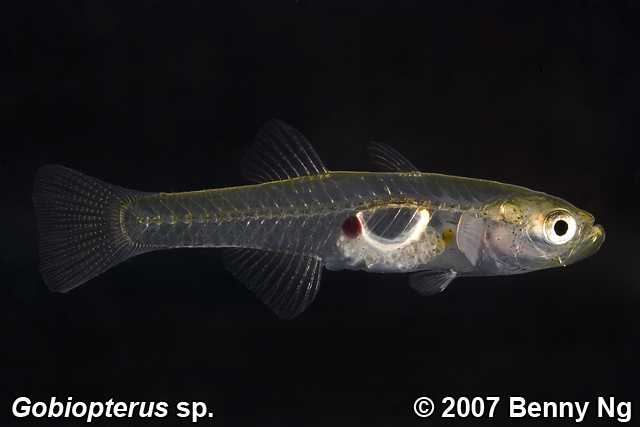 Is the the glass goby Choy was talking about being found locally? ID? should be the same ones and I posted before from local population, although the exact species is something still conjectural. yours is a male fish. Sold as Gobiopterus chuno but ID not confirmed. Got 10 of them, past 3 weeks already, no casualties whatsoever but I think mine are all male. I would say that they are pretty easy to care for. Not sure if you would be successful with the training of fine pellets. Seems to take live food only, flakes/pellets are taken then spat. I am feeding them on live Tubifex and they are devoured like nobody's business... but I read *somewhere* that they have small guts, so possibly small live food is more suitable. Tubifex is not mentioned but *touch wood*, it's been pretty good so far. male ones have big jaw like in the pix. some females you can also see the eggs. Scooped a few from C328 last week. Seems to be infected with ich. Interesting fellows with their transparent bodies. 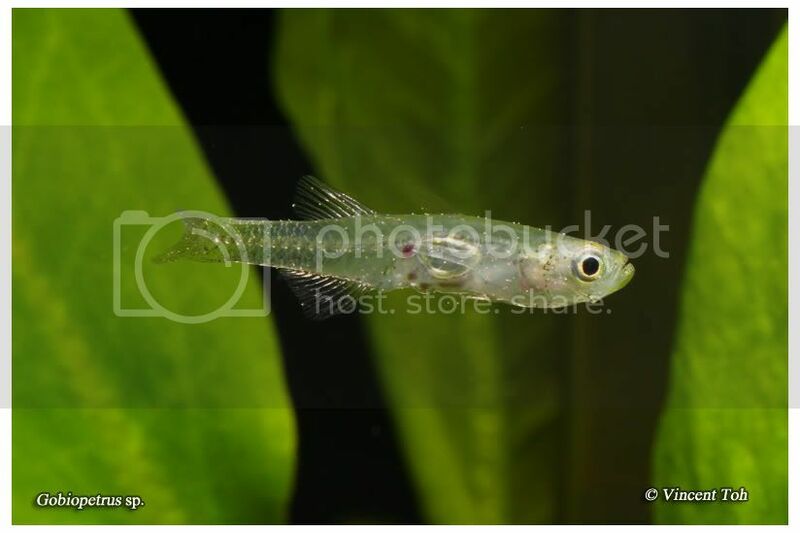 Possible male? Seems to have a larger jaw to me. Last edited by Justikanz; 30th Jan 2007 at 13:35. Seems emanciated. But I like the subject against the clean background. Gives a sense of depth. I recall these are no more than 2cm long. What do you feed them? these are females, compared with the ones you took the other day, those have exposed dentures. also I think the whitish stuff maybe eggs. Yah. They are at most 1.5cm long. Although they are small, they have ferocious appetites! At a go, they can take up to 3 brineshrimps each. Fed them with brineshrimp and frozen bloodworm. Very interesting after each feeding as you see the food in their gut very clearly. If fed with live brineshrimp, you could still see the movement of the brineshrimp! Hope to cure them of their emanciation. At least they are eating. Very interesting after each feeding as you see the food in their gut very clearly. Strangely, as morbid as it may be, I too am fascinated when a living thing is being dissolved slowly by the gastric juice in another animal. Must be our primodal fascination with food and death. Pst... should be Gobiopterus yes? Had them for a while, my last survivor just passed on last month. Fed them on tubifex worm. haha.. premium stuff for your fishes. Have you try the vitamin that both of us gotten at biotope? So have you found out whether those white spots are eggs or ich? The white spots on the body are ich... And they have recovered from them. Without any intervention from me. 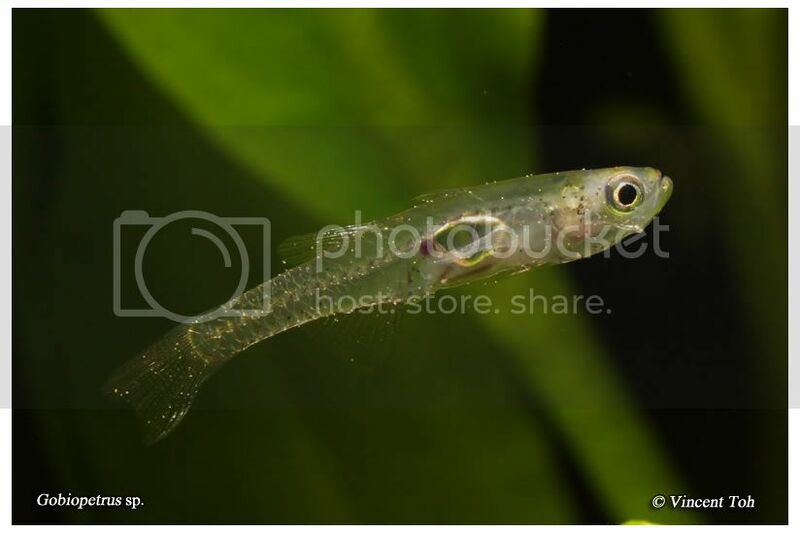 Have not done a dedicated fish photography session for almost 2 years. Could not find most of my shooting equipment and had to struggle a bit even with the setup! 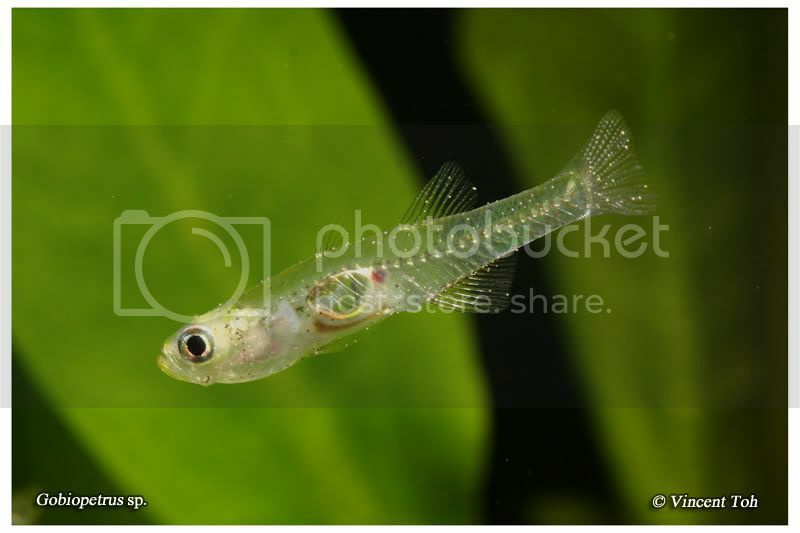 Here's my first attempt with the glass goby and hopefully there's more to come..
For those who doubt that the Canon MP-E 65 mm f/2.8 1-5 X macrophoto lens can be used to shoot livestock, this picture should dispell that misconception. EXIF data is still embeded in the image for those interested.